The Small Square 60cm Cocoon Fire Pit in Grey adds a modern, stylish touch to your garden, patio or balcony.This cocoon is smoke free and will provide the warmth you require on colder nights outside. 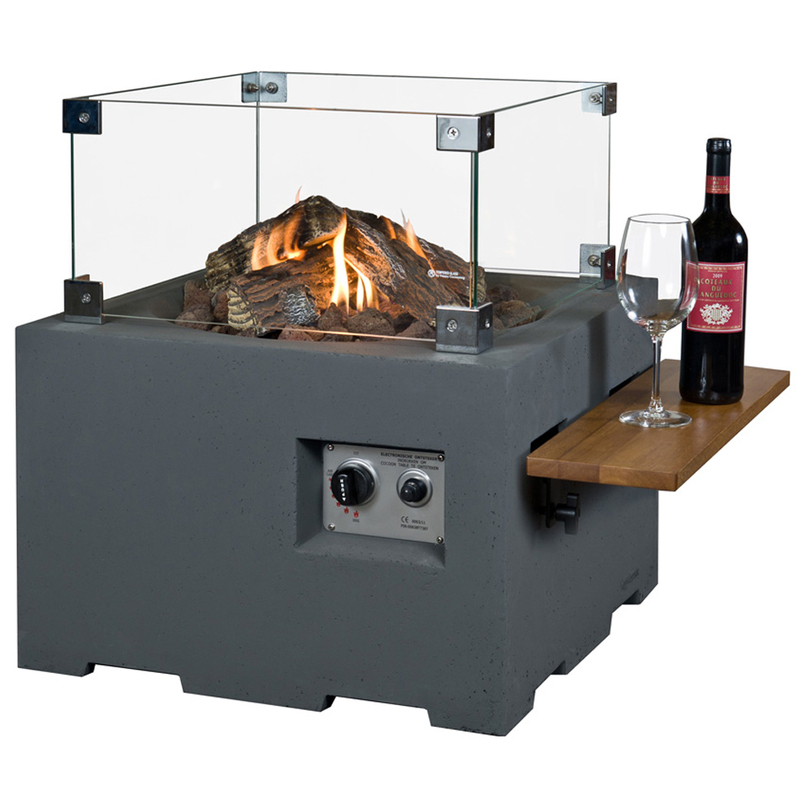 This outdoor gas fire pit features a 12kW stainless steel gas burner and weatherproof composite material that will withstand higher temperatures ensuring top quality performance. An electronic control panel is included to ignite and control the height of the flame. The Small Square 60cm Cocoon Fire Pit is can be customised with a set of 2 square teak side tables, perfect for alfresco dining in the warmth of the fire. A second option is to add a glass surround to provide additional protection. Includes a 2.5m Gas Hose and Weatherproof PVC Grey Cover. Small Square 60cm Grey Cocoon Shown With Shelves and Glass Surround (Not Included). Click the button below to add the Happy Cocooning Small Square 60cm Fire Pit Cocoon Grey to your wish list.